This blog shows options for creating a webcam focused on one particular area of an Excel workbook! 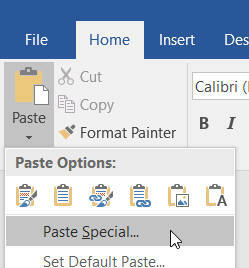 You can do this either by pasting the Excel range into PowerPoint or Word as a linked picture, or by using the Excel camera tool. 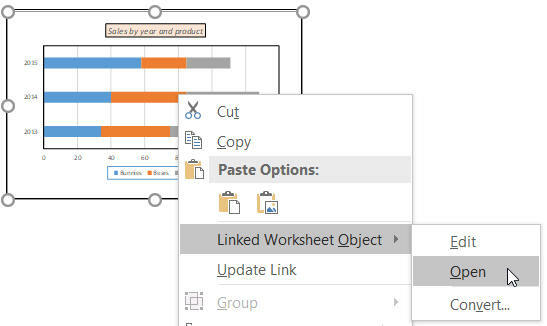 This PowerPoint presentation looks like it contains a PowerPoint image and chart, but actually they're just embedded objects from Excel. The presentation file size is by modern day standards tiny, because the real meat of the presentation is actually stored in Excel. 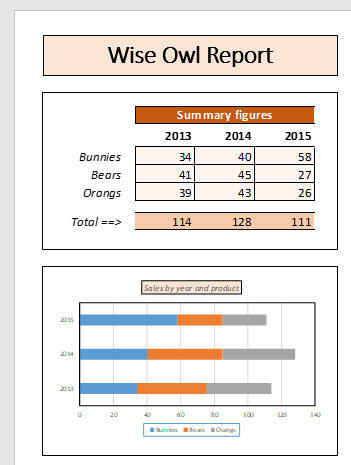 If you're copying a chart you'll need to select the cells surrounding it. 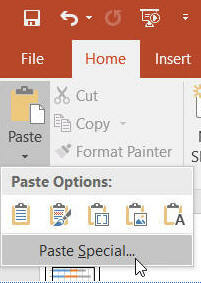 You can also right-click to use the short-cut menu shown above. 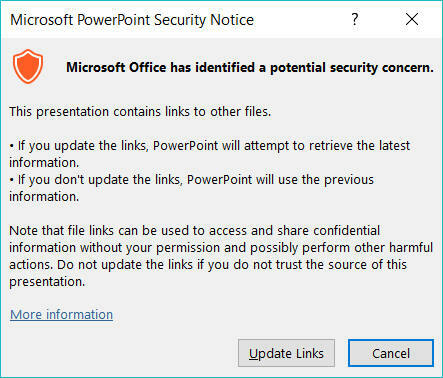 This is the message for PowerPoint 2016. To ensure you're using the latest version of the Excel source, click on Update Links. Note that if you email a PowerPoint presentation or Word document to someone, they will only be able to update links if they also have the original Excel workbook stored in the same folder path. And that concludes this blog, which was meant to be just about the camera tool but got a bit carried away with itself!